Forest occupies 86% of Finland’s land area, the most forested country in Europe. Unique laws protect Everyman’s Rights to access all of Finland’s forest as a cultural, recreational, and productive resource. Not only is public recreational access permitted regardless of land ownership, but rights are preserved to harvest wild edible berries, mushrooms, and herbs wherever found. These laws blur the boundaries between public and private land use, and ensure that the natural edible resources of the country’s forest remain free to the public despite ownership patterns. Though deeply grounded in Finnish tradition, increased urbanization and commercial exploitation of these resources have changed foraging practices in contemporary Finland, with impacts that are felt globally. This travelling study of contemporary foraging in Finland examines phenomena that are indicative of the increasing complexity that entwines land use, cultural heritage, legislation, and economics. However, new attention to sustainable local food movements and a backlash response to industrial wild food consumption is prompting a renewed interest in foraging within Finland’s urban communities. Centered around Helsinki, a young community of Finns is demonstrating interest in revitalizing foraging culture and disseminating foraging customs and knowledge. Begun in 2009, a non-profit called the Herbologies/Foraging Networks supports a growing community of foragers by using an online forum for the organization of collaborative workshops aimed to create social networking and to document and disseminate knowledge and skills. Beyond documenting past traditions of foraging, current trends also develop permutations as foraging activity adapts to new urban lifestyles and urban resources. Informally called “urban foraging,” these include the mapping, and in some cases planting, of lforageable foods that grow within the urban environment. Like the Herblogies/Foraging Networks, urban foragers also employ social and locative media to aid in these activities, with interactive web-based maps and the development of smartphone apps that can help guide users to “wild” urban foods. In Helsinkii, not only are foods being mapped, but a push for new public garden plots, fruit trees in public parks, and other eatable amenities are making the city increasingly edible itself. The growing popularity of these interests is evident in the increased participation in urban foraging tours, such as the bicycle tours led by Helsinki resident Joel Rosenberg, and in organized groups such as the Urban Foraging Group at the Helsinki Public School. These trends represent the continued value of foraging in Finnish culture, as well as the potential for exciting new alternatives to rural traditions that embrace both the inevitability of urban life for many Finns as well as the value of the edible landscape. Changing trends in foraging are occurring not only at the local, urban scale, however, but at a scale of global impact as well. Increased industrial harvesting has had global effects not only on distribution of wild food products, but also on the labor force that is drawn internationally to forage for profit. As many Finnish citizens show decreased interest in personal or commercial harvesting, a migratory work force has taken advantage of employment. Because Everyman’s Rights preserves access for foreign visitors as well as for Finnish citizens, these migrant workers function as independent contractors, foraging wild foods then selling their harvests to processing companies. Travelling to rural parts of Finland during berry season in late summer-fall, migrant workers form temporary communities, often with precarious living conditions, while combing the countryside for berries for 6-8 weeks of intense labor. A primarily Eastern European migrant workforce in the 1990’s has recently given way to a predominately Southeast Asian workforce. A particularly large facet comes from Thailand—in the northern Lapland region of Savukoski, the annual Thai labor force has more than quadrupled since 2005, with roughly 3,000 laborers in the 2010 berry season. These migrations result in new types of ephemeral and culturally diverse communities occurring throughout the rural landscape in seasonal cycles. (Siku News) However, poor and often dangerous living and working conditions for migrant harvesters are surfacing in media coverage of the phenomenon. Long hours earn low pay, and in an increasing number of cases, wages do not even meet the needs of the worker to repay loans necessary for travel and living expenses. As awareness and tension rises, both in Finland and in Thailand, Finland is perhaps seeing one of the first challenges that could force a policy change in the way Everyman’s Rights are implemented and monitored, and the issue has yet to be resolved. The primary goals of the travel research included first, a basic understanding of how Everyman’s Rights is experienced through foraging practice, and secondly, sought to better understand three facets of contemporary issues related to foraging in Finland. The three issues studied through travel were (1) the activity, tools, and success of a group like the Herbologies/Foraging Network to document and revive foraging traditions as cultural heritage, (2) the practice of new urban foraging in Helsinki, including relevant sites, participants, tools, and media engaged, and (3) the current climate of discussion, debate, and activity related to the issue of migrant labor and the potential need to alter the policy that determines Everyman’s Rights in Finland. 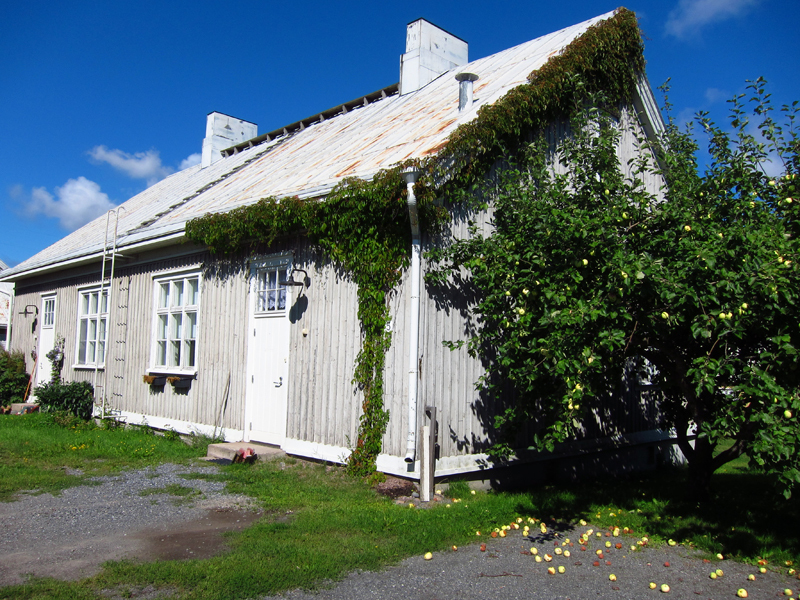 Preparatory research determined several rural, semi-rural, and urban locations across Finland to experience foraging first-hand. Transportation and accessibility were mapped, and local knowledge obtained near sites guided activity to particular areas of ripe foods. Access crossed various property lines and ownership types, and sites included semi-urban public forests, rural forests owned by forestry companies, government-owned forest, public parks and land preserves, private campgrounds, private residential land, and agricultural land. Foods collected included lingonberries, blueberries, raspberries, strawberries, wild currants, cloudberries, and a variety of mushrooms. Species, forest conditions, and transit sequences were documented through photography and video. Andrew Gryf Paterson, co-founder of the Herbologies/Foraging Networks, proved to be an important figure offering general orientation upon arrival in Helsinki, as well as providing contact with several others who guided foraging experiences and contributed information. Interviews with Andrew in Helsinki further illuminated Herbologies’ creation, mission, and recent work, and also provided plant lists and research documents that provided much of the background knowledge for the trip as well as insight into recipes and practices used by older generations of foragers. Andrew was an invaluable resource for sharing information and documentation. Since 2009, Joel Rosenberg has been mapping edible plants in the city of Helsinki. Joel keeps extensive records of what edible plants are scattered throughout the city in pocket parks, abandoned lots, public gardens, urban forests, and even medians and hedges. At first, Joel kept his maps in his head, and toured by bike with collaborators from a local gardening group. After two years, Joel’s foraging tours have become public, and his “Urban Foraging Rides” now have long signup lists months in advance. He digitized his foraging map in 2011, turning it into an open-source online map for users to reference and contribute to, and is accessible through his website Satokartta. His work now collaborates with Herbologies, a Helsinki-based environmental group called Dodo, and other groups interested both in edible landscapes and foraging as well as interactive and social media, such as Finnish-based Kaupunkiviljely, the Pixelache festival, and Amsterdam-based Boskoi Urban Edibles. While in Helsinki, I joined Joel for one of his inventory rides while he updated his notes on what was getting ripe around the neighborhood of Sornainan, in preparation for tours that were already booked through September. Sites visited were documented through photography, and I was able to interview Joel on how he got started foraging, how he used urban fruits and berries in his daily diet, what he thought of the dramatic increase in popularity that his foraging activities received within a younger, urban generation, and how he was starting to explore new media for sharing his knowledge. Because migrant picking camps remained inaccessible to me, in order to better understand the status of current discourse about the labor issues related to migrant pickers from Thailand, I joined a political and public art group for a day of berry picking followed by a public film screening and discussion about the issue. The picking excursion was organized out of the city of Tampere, and travelled to a nearby location known as “Mustikkavuori”, or “Blueberry Hill.” The goal of the trip was to pick wild berries that would later be made into jam and sold at a fundraising event. Our efficiency as pickers was calculated in comparison to the amounts needed per person per day for a migrant picker to repay their debt. Following the picking excursion, Junya Lek Limprasert, a Thai activist and filmmaker, screened a film documenting the working and living conditions of the Thai pickers, and was available for interview and discussion. Disciplinary growth as a result of my travel and research included an increased understanding of complex contemporary relationships between the natural resources of biophysical systems, cultural conceptions of land use and access, related legislation and management, and a number of intertwined economic, ecologic, and cultural issues. The study reveals these relationships as they are influenced by changing conditions of urbanization and globalization. The additional focus on new and evolving forms of online media and information networking as tools of public engagement is an attempt to emphasize the great potential relationships that connect the physical landscape to the intangible space of our increasingly online, mobile, and networked virtual world. It is my assertion that understanding and taking advantage of these potentials can have significant impacts for the way the public interacts with sites and resources and for the way landscape architects utilize these tools as designers. For more information on project findings, references, etc. please contact Emily Gordon at egordo1@gsd.harvard.edu. Casimir, Michael J. and Aparna Rao, editors. Mobility and territoriality : social and spatial boundaries among foragers, fishers, pastoralists, and peripatelics. New York : St. Martin’s Press, 1992. Gordon, Eric and de Souza e Silva, Adriana. Net Locality: Why Location Matters in a Networked World. Forthcoming April 2011.